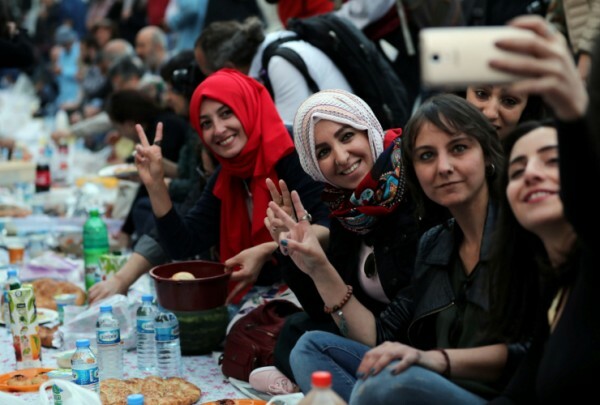 The number of young Turks who defined themselves as being religious or conservative has decreased by roughly 50 percent in the last 10 years, according to a survey by leading polling company KONDA. The KONDA survey focusing on the lifestyles of 15-29 year old found that young people who define them as religious or conservative dropped to 15 percent from 28 percent within the decade, independent news site T24 reported on Saturday. There has been an increase in the number of people who are single in the aforementioned age bracket, with 75 percent reporting they are single as compared to 60 percent 10 years ago. Accordingly, 19 percent are married, compared to 39 percent aged 15-29 a decade ago. Turkey has witnessed a dramatic drop in youth reading newspapers, the KONDA survey found, with only 22 percent reading the country’s dailies, compared to 72 percent in 2008. A larger percentage of young people in the country own cell phones and computers compared to 10 years ago, according to the survey, which found 100 percent owning cell phones in 2018, compared to 90 percent 2008 and 70 percent owning computers compared to 42 percent a decade ago. There is large slide in the percentage of young people who believe political parties should be shut down when necessary or that the military should takeover if required, with 40 percent maintaining party closure is necessary in 2018 compared to 54 percent in 2008 and 22 percent believing in the necessity of a military takeover compared to 51 percent in 2008. The survey also highlighted a slide in the number of young Turks who pray or fast, as required by the Islamic faith. While 74 percent of those aged 15-29 said they fasted regularly during month of Ramadan in 2008, this figure dropped to 58 percent in 2018, KONDA found. Meanwhile, the percentage of those who prayed regularly dropped from 27 to 24 percent in the past 10 years, according to the survey. Turkish President Recep Tayyip Erdoğan’s ruling Islamist Justice and Development Party (AKP) has increasingly promoted religion in its 17 years in power. Turkey’s strongman has been pushing for the growth of state-funded Imam Hatip religious schools and has repeatedly stressed his desire to create a pious generation of Turks.